Date unknown. Location unknown other than name of property. 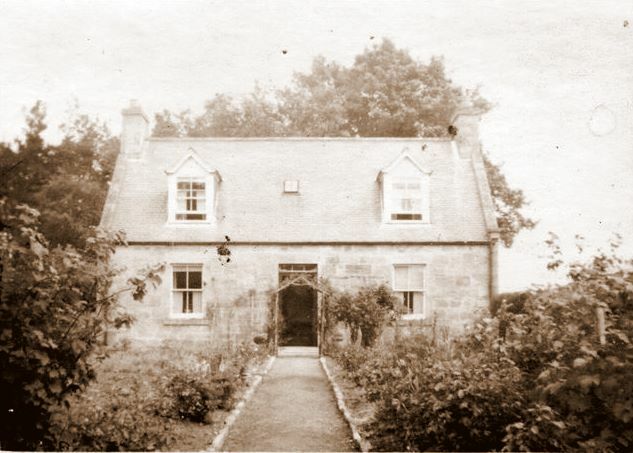 It looks very similar to the house at the bottom of Gordon Road / Montgarrie road, next to the Doctor Surgery? I agree Sarah, a fairly standard pattern as far as Scottish farm houses are concerned, but the one you refer to was built for Charles Murray's father, and I don't think it is the same one....the key is in the name "Broadley"....I couldn't find this on any maps and am beginning to wonder if it might be a mis-spelling/mis-reading of something like "Bandley"? Anyone remember Eleanor McGregor who was a war evacuee? I remember an Eleonor McGregor but wasn't aware she was an evacuee. Lived with Stewart's who had bakers shop, (what we called the bottom bakers) as Stewarts also had bakers shop next to where Spar used to be. There is a farm named Broadley at Kildrummy. It is on the back road between Kildrummy and Lumsden. It looks similar but it is some time since I was there, so I am not sure about how the house looks.